As a dying person comes to terms with their own mortality and begins to prepare for death, she may use life review, or life reconciliation, as a way to find closure and a sense of completion. A life review doesn't follow a predictable pattern, and no two people can be expected to experience life reconciliation in the same way. That said, there are five common stages of a life review that are helpful to understand: expression, responsibility, forgiveness, acceptance, and gratitude. Coming to terms with impending death is extremely difficult for most people. As a dying person moves through the DABDA stages of coping, many emotions surface that need to be expressed. Anger is often the dominant emotion for a majority of this time. It's important for a dying person to express whatever emotions they are feeling. Expressing intense feelings and releasing anger is essential to finding peace. If a dying person is allowed complete freedom of expression, true healing on an emotional and spiritual level is possible. A dying person might need explicit permission to express their anger. She might fear that by expressing herself she will alienate loved ones. She might be angry at a higher power and feel ashamed of those feelings. By expressing feelings of anger at the illness, at the unfairness of the world, or at a higher power, a dying person is preparing herself for peace and acceptance. As the dying person reviews their life, they begin to realize how they have played a role in all that has happened to them. They realize that their actions, thoughts, and lives are their responsibility alone. Most people describe this as a freeing experience. They come to know that they aren't to blame for their illness and that death doesn't mean they somehow failed in life. This realization of responsibility helps the dying person come to terms with all that has happened in their life and prepare for what's ahead. When someone experiences true forgiveness, they release themselves from the bonds of hurt and bitterness. Forgiveness isn't about accepting the wrongful behavior. Forgiveness is about choosing to let go of the hurt and resentment that keeps us from living in peace. A dying person may find it easy to forgive others for past hurts but may have a hard time forgiving himself. He may wonder whether others can really forgive him for his wrongs, big or small. He may spend some time asking others for forgiveness, asking a higher power for forgiveness, and offering his own forgiveness to those who have hurt him. In his book The Four Things That Matter Most, Dr. Ira Byock discusses what most people define as being the most important things to say before you die: "Thank you," "I forgive you," "Will you forgive me," and "I love you." Two of the four phrases are about forgiveness, emphasizing how important it is to offer and receive it before we die. Some people will choose to die in unforgiveness, and that's a valid choice. Many others choose to invite inner peace before they die by offering and receiving forgiveness. Acceptance is the final stage in the DABDA theory of coping with death and is an important part of a life review. We seem to have lost the reality that death is a natural process that will happen to each and every one of us, choosing instead to fight death valiantly until the end. When a dying person accepts their death as inevitable, they are not giving up on life but rather allowing the natural order of life to complete its circle. We don't have to like what we accept as reality, but accepting that life is indeed complete is an important step towards dying in peace. Just as a woman in labor can't be stopped from delivering her baby, the final dying process cannot be stopped once it has begun. 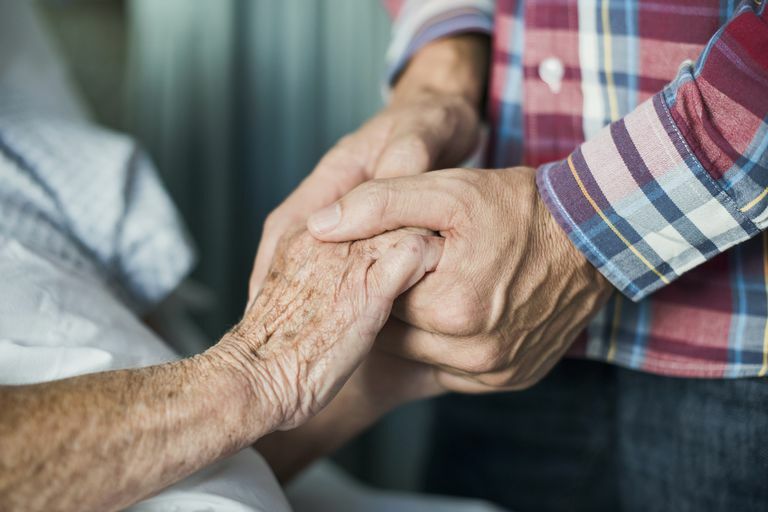 When a dying person is able to accept their inevitable death, they are opening themselves up to experience peace and contentment in their last days. After experiencing other aspects of a complete life review, a dying person will often experience extreme gratitude for their life. He will be thankful for the people in his life; the experiences he's had, whether good or bad; and may feel gratitude towards a higher power, if he believes in one, for the life he's had. He may express his gratitude to his friends and loved ones and feel overwhelming joy. This is how most of wish we could die, with a joyful heart and a spirit of peace.